We really do pay more w/ a fast check too! Thinking of selling your rare coins or precious metals? Please...call us at 1-800-279-4337 and receive current real-time prices! SELLING ONLY TAKES A MOMENT OF YOUR TIME!...simply call us for current prices for the coin/s you wish to sell and upon your acceptance request a confirmation number which serves to confirm your transaction (your confirmation number also >>>locks-in<<< your prices). Then ship your coins FULLY INSURED VIA U.S. REGISTERED MAIL. Upon receipt, MJPM will call to confirm your shipments safe arrival and issue your check the same day! 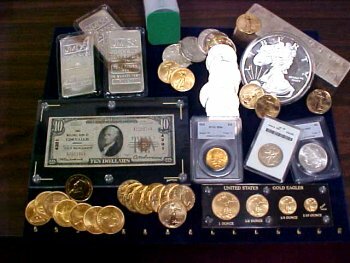 You will discover MJPM to be extremely competitive on all rare coins, gold and silver coins, platinum coins/bars, and paper money.